Matt is a highly experienced people and culture consultant with over 20 years of hands-on experience designing and delivering development programs on a personal, team and organizational level. He has a lifelong passion for understanding and working with human systems – and in helping organizations shape the optimal environment for their people. He has a strong belief that organizational environments where individual learn and grow not just foster performance but they support happier and healthier communities. Matt refuses to believe in the notion of work as drudgery and that it is nothing more than collecting a paycheck and he has spent his professional life helping individuals and organizations discover and develop their true potential. Matt’s skills cross the consulting spectrum from the facilitation of strategy and planning off sites (at board and senior executive levels) through to the design and hands-on rollout of leadership and culture change programs. He can work seamlessly between C-suite and the front line. 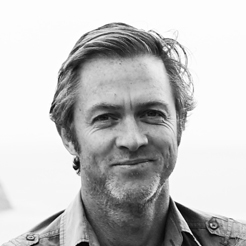 Matt is passionate about experiential learning, his family, the ocean and the wilderness. He has just recently returned from a multi-year odyssey combining all of these things by traveling overland across the world with his wife and three young daughters – trying to show them how amazing this world truly is. Matt holds an Honors degree in Psychology from UNSW, Certification IV in Training & Assessment and Outdoor Education and accreditation in a variety of personality and assessment tools. He has worked at senior levels of both the public and private sector and across a wide variety of industries.